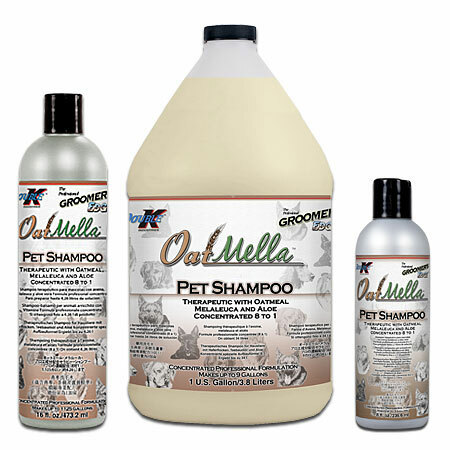 OATMELLA™ Professional Shampoo combines the traditional healing properties of Oatmeal, Melaleuca (tea tree oil) and Aloe in a rich, therapeutic shampoo for a natural skin-soothing treatment. OATMELLA™ helps calm itchy skin and exfoliate dry flaky skin cells. The unique formula helps to eliminate odors often associated with skin irritations. For use on dogs, cats and other animals.